This is a die-cut Grand Army of the Republic porcelain sign. This particular Grand Army of the Republic sign is white with black print. 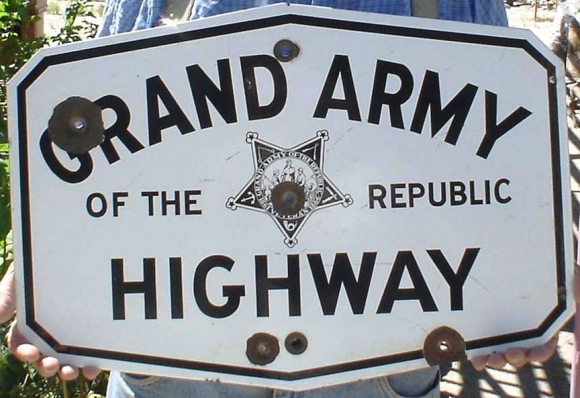 It reads, “Grand Army of the Republic Highway” and features a five pointed star with the Grand Army seal in the center.